Rob Swan of Huntington Homes says there’s a singular purpose behind the design of 28 Willow Brook Rd. 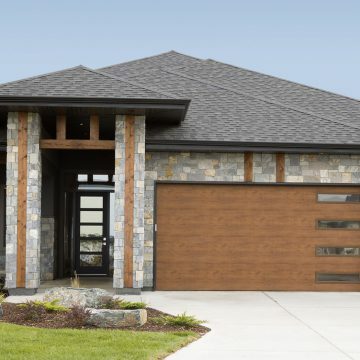 “It’s designed to grab your attention the moment you step inside,” he says of the 3,311-square-foot, two-storey home, located in Bridgwater Lakes. That grand feel starts in the large tiled foyer with a soaring 20-foot-high ceiling. Add in several design touches and you have a foyer that sets the perfect tone — very stylish, yet also functional. 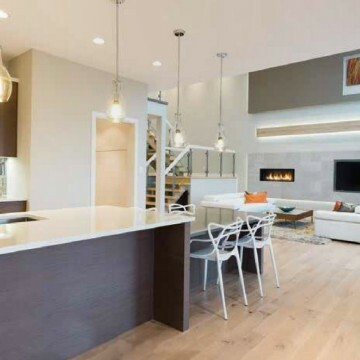 A new home design that seamlessly combines style and function is no accident. 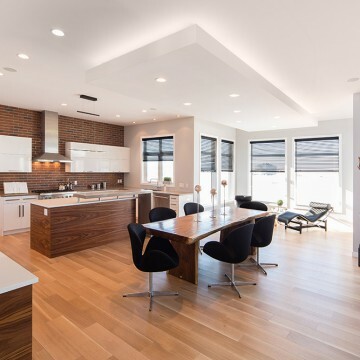 For nearly 30 years, Huntington Homes’ attention to detail, uncompromising commitment to quality – and exceptional execution – has made them Winnipeg’s premiere custom homebuilder. It’s a sensation that doesn’t often happen when you enter a home. That sensation? Feeling as if the home is as comfortable as a pair of well-worn shoes that fit perfectly because they fit every subtle contour of your feet. Huntington Homes’ frontman, Rob Swan says that 141 Rose Lake Court in Bridgwater Trails — a 2,499 sq. 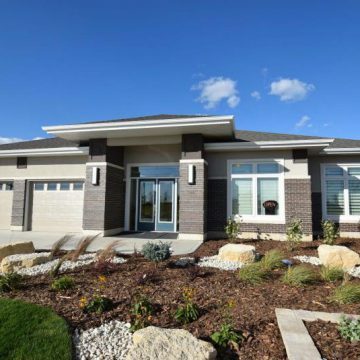 ft. bungalow with walk-out basement — has been drawing rave reviews during the 2016 Fall Parade of Homes. At Huntington Homes, the objective with every home they build is the same: to create an exciting, functional masterpiece. 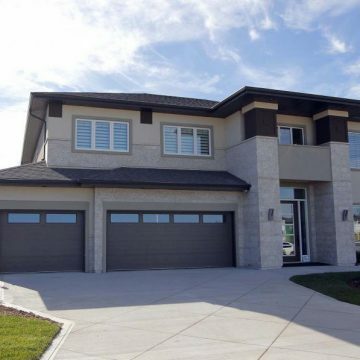 As is the case with every masterpiece – in this instance, their show home at 130 Lake Bend Road in Bridgwater Lakes – nothing about the design is an accident. From start to finish, the design of the home is ultra-specific from the floor plan to the finishes – a Huntington standard. 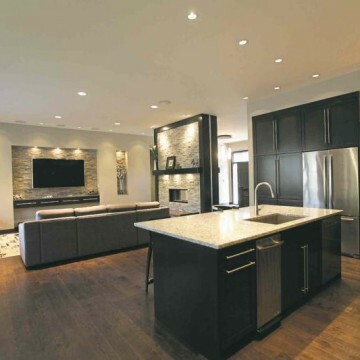 There tends to be two types of show homes. The first simply overwhelms you with a quick burst of in-your-face wow factor. The second, by contrast, is more subtle in its spectacularity. The moment you walk in, you’re aware of the wow factor, but it doesn’t fizzle out. 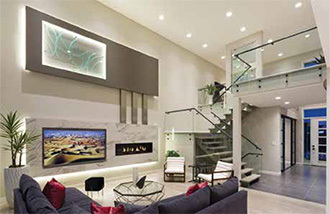 Rather, the various design features just get better and better as you tour the home.